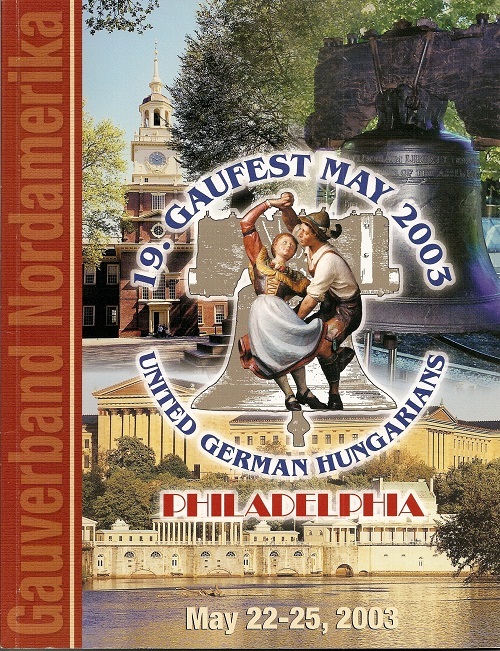 Hosted by United German Hungarians, Oakford, Pennsylvania. Einzelpreisplatteln for adults was held for the second time on a trial basis with 28 couples participating. It proved quite popular and the number of participants has grown every year. Gaufest First: The top three couples & the top two groups in Gruppenpreisplatteln were invited to participate in the 2003 Preisplatteln zum Bayerischen Löwen in Bayern that fall. This was a first for Gauverband Nordamerika. 16 Vereine participated in Gruppenpreisplatteln.